Fordomme, had og racisme over for jøder. Gennem historien har antisemitismen taget mange former. Lige fra racistiske love, der udelukker jøder fra visse erhverv, forfølgelser, overfald og udryddelse til fordomme om særlige jødiske personlighedstræk. Dr. Manfred Gerstenfeld is chairman of the Board of Fellows of the Jerusalem Center for Public Affairs. He is an international business strategist who has been a consultant to governments, international agencies, and boards of some of the world’s largest corporations. The most recent of his nine books are Europe’s Crumbling Myths: The Post-Holocaust Origins of Today’s Anti-Semitism (JCPA, Yad Vashem, WJC, 2003), The New Clothing of European Anti-Semitism (Editions Café Noir, 2004) (French), which he coedited with Shmuel Trigano, and American Jewry’s Challenge: Conversations Confronting the 21st Century (Rowman & Littlefield, 2004). Anti-Semitic attacks on Israel by Israelis and Jews are frequently indistinguishable from those by gentiles. Among the specific aspects in the anti-Israel writings of some Jews are the use of their family’s Holocaust experiences, their references to being Jewish or an association of some kind with Israel. Gentile assaults on Israel and Jews often use statements from Israeli or Diaspora Jewish defamers as a legitimization. In order to fight verbal attacks against Israel by Israelis and Diaspora Jews more effectively, a much better understanding of their background, motives and methods is required. This issue has largely been neglected by Israel and the major defense organizations. In order to fight verbal attacks against Israel by Israelis and Diaspora Jews more effectively, a much better understanding of their background, motives and methods is required. One must identify the origin of their ideas and where they stand politically, as well as how they interact with others. Furthermore, a psychological analysis of the elements of self-hatred in their discourse is required. Some aspects of this behavior require specific scrutiny, while others should be investigated within the framework of general verbal attacks against Israel, i.e., classical gentile anti-Semitism or the “new” anti-Zionism. To deepen insight into this phenomenon, it should also be studied internationally. When identifying basic components of the anti-Israel assaults by Jews outside Israel, one important facet is anti-Semitic statements and actions. These have also to be seen in the context of the more general debate about the point at which extreme critique of Israel turns into anti-Semitism. Gradually, a consensus is developing on the definition of “new” anti-Semitism, i.e., the variety of Jew-hatred targeting the state of Israel. Once this mutation’s key characteristics have been classified, an analysis of any speech, writing or action can be made to determine its anti-Semitic elements. It is no longer relevant who the author is and whether he is Muslim, Christian, atheist, communist, Maoist, Trotskyite, Socialist, Liberal, neo-Nazi, Israeli or Diaspora Jew. Using mainly Cotler’s definitions, one can analyze anti-Israeli and anti-Semitic statements by Jews abroad. A few examples will illustrate this. To investigate the phenomenon efficiently, texts from the perpetrators are quoted jointly with the comments of various critics. The prime location to start investigating hate attacks by Jews is the campus. One major aspect of the new anti-Semitism is the academic initiatives to discriminate against Israeli universities and scholars. These efforts began in 2002 and developed rapidly in a number of countries. They took the Israeli government, as well as the Jewish world – including the academic one – by surprise. In a later article the Roses reported receiving substantial hate mail. They also mentioned substantial support from people they called “pathologically anti-Jewish.” They went to great lengths to dissociate themselves from being Jewish anti-Semites.12 This denial of anti-Semitism is a recurrent motif among Jews who attack Israel. By March 2004, after boycott attempts largely failed, an open letter was published in the Guardian signed by over 300 academics, asking leaders of Israeli universities to reveal whether they support government policies. It contained many familiar names of anti-Israel academics. Among its signatories were Jews such as Mike Cohen, Stephen and Hillary Rose and John Docker, as well as Jean-Marc Levy-Leblond from France and Lawrence Davidson from the U.S.
Alan Dershowitz considers Chomsky “the intellectual godfather” of the anti-Israel campaign, mentioning that Chomsky seeks the abolition of the state of Israel.18 This makes Chomsky an anti-Semite according to the definitions of both Cotler and the Berlin Anti-Semitism Center, as he expresses views that define Israel as a state fundamentally distinct from all others in a negative sense. Mezvinsky also updated Jewish Fundamentalism in Israel, a book by the extreme left-wing Israeli academic Israel Shahak, and wrote its introduction. On the Amazon internet site, Chomsky comments on the book: “An outstanding scholar, with remarkable insight and depth of knowledge. His work is informed and penetrating, a contribution of great value.” This reaction provides another illustration of the collaboration of anti-Israel forces in academia. Chomsky, Mezvinsky and Finkelstein are among the better known Jewish distorters of Israel’s image on campus. Others may take even more extreme positions, but their attacks are incidental rather than ongoing. When he became the subject of severe criticism by Israeli academics, Fonagy responded that he had been under personal stress and had not been thinking clearly when he signed the call for the boycott. He withdrew his signature and apologized for it. This essay illustrates some key aspects of verbal Jewish aggression against Israel as well as Jewish anti-Semitism in the world of academia. There is a substantial gap between the importance of the problem and the attention given to it in the Jewish world. The Jewish academics’ attacks on Israel must be analyzed not only in the wider context of academic aggression against Israel, but also within the framework of a profound study of contemporary Jewish anti-Semitism, Israel-hatred and self-hate yet to be undertaken. Abraham Foxman, national director of the Anti-Defamation League, said that Soros blames the victim of anti-Semitism for all of Israel’s and the Jewish people’s ills.48 Such attitudes have manifested itself in many ways in the post-war period. New versions of the old motif have now emerged. Among these are Jews who hate the Jewish state or see it through the eyes of “politically correct” members of some Western elites. They may even lead, not just join, these attacks. So far there have been many rewards with correspondingly limited penalties for some of the Jews who attack Israel. They have positioned themselves in society in such a way that they are applauded by part of the non-Jewish environment and provide useful alibis for Israel’s Western enemies. One also finds anti-Israeli Jews in various human rights organizations and other NGOs. Jews with a strong anti-Israel bias in the media are another group requiring in-depth research. A more profound analysis should not be limited to the factual assessment of speech, text and actions. The phenomenon should also be assessed politically, culturally, psychologically and socially. Though there is collaboration between Israeli and Jewish anti-Israel forces, there are also important differences between the two which should be detailed. As aforementioned, if one reads anti-Semitic texts without knowing the author, one is often unable to guess whether the author is Jew or gentile. Yet there are specific aspects in the hate writings of some Jews against Israel. These concern the use of one’s family’s Holocaust experiences, references to being Jewish and an association of some kind with Israel. It would have been a wise policy for Israel and the Jewish defense organizations to have confronted these attacks on Israel much earlier and more aggressively. Once a phenomenon reaches greater proportions without checking, it becomes far more difficult to fight. 1. I express my thanks to Michelle Baruch and Jeremy Wimpfheimer who have collected part of the background material used for this article. 2. Manfred Gerstenfeld, interview with Alan Dershowitz, in American Jewry’s Challenge: Conversations Confronting the 21st Century (Lanham. Md. Rowman and Littlefield, 2004), p. 116. 3. “Manifestations of Antisemitism in the European Union,” drafted for the European Monitoring Center on Racism and Xenophobia (EUMC) by the Center for Research on Antisemitism (ZFA) at Berlin Technical University, p. 17, http://eumc.eu.int/eumc/FT.htm. 5. Manfred Gerstenfeld, “The Academic Boycott Against Israel,” Jewish Political Studies Review, Vol. 15, nos. 3 & 4, pp 9-70. 6. www.euroisrael.huji.ac.il/original.html, “Protest against Call for European Boycott of Academic and Cultural Ties with Israel,” The Guardian, Original Press Release, 6 April 2002. 7. Patrick Lawnham, “Academics Split on Israel Sanctions,” The Australian Newspaper, 22 May 2002. 8. Stephen and Hilary Rose, “The choice is to do nothing or try to bring about change,” The Guardian, 15 July 2002. 9. Andrea Levin, “Headlines Cover for Palestinian Violence,” The Jerusalem Post, 17 March 2003. 10. Ori Golan, “A Conscientious Objector,” The Jerusalem Post Magazine, 17 January 2003. 11. Helen Jacobus, “Wars of the Roses,” The Jewish Chronicle, 31 January 2003. 12. Andrew Beckett, “It’s Water on Stone – In the End Stone Wears Out,” The Guardian, 12 December 2002. 13. Polly Curtis, “Academic boycott of Israel gathers momentum,” The Guardian, 25 March 2004. 15. In the initial days the following names appeared on the list. Some of these may have since withdrawn their signatures. Others may have added them. Prof. Daniel Amit, Hebrew University; Iris Bar, Haifa University; Prof. Rachel Giora, Tel Aviv University; Prof. Eva Jablonka, Tel Aviv University; Dr. Haggai Katriel, Haifa University; Prof. Smadar Lavie, Tel Aviv; Dr. Ilan Pappe, Haifa University; Prof. Zvi Razi, Tel Aviv University; Prof. Tanya Reinhart, Tel Aviv University; Dr. Tuvia Shlonsky, Hebrew University. 16. Tanya Reinhart, “Why an academic boycott: a reply to an Israeli comrade,” www.position.com, 17 May 2002. 17. Larissa MacFarquhar, “The Devil’s Accountant,” The New Yorker, 31 March 2003. 18. Alan Dershowitz, The Case for Israel (Hoboken: John Wiley & Sons, 2003), p. 198. 20. Samantha Power, “The Everything Explainer” The New York Times, 4 January 2004. 23. Private Communication David Kazhdan. 24. Cheryl B. Wilson, “Divestment from Israel debated,” Gazette Net, 1 March 2003. 25. Peter R. Mitchell and John Schoeffel (eds.) Understanding Power: The Indispensable Chomsky, (New York: New Press, 2002), p. 245. 26. Norman G. Finkelstein, The Holocaust Industry: Reflections on the Exploitation of Jewish Suffering (London: Verso, 2000). 27. Manfred Gerstenfeld, interview with Yehuda Bauer in Europe’s Crumbling Myths: The Post-Holocaust Origins of Today’s Anti-Semitism (JCPA, Jerusalem, 2003), p. 119. 28. Manfred Gerstenfeld, interview with Shmuel Trigano in Europe’s Crumbling Myths: The Post-Holocaust Origins of Today’s Anti-Semitism, op. cit, p. 215. 29. Michael J. Bazyler, Holocaust Justice: The Battle for Restitution in America’s Courts (New York: New York University Press, 2003) p. 289. 31. Ronald Zweig, Journal of Israeli History, Vol. 20, nos. 2/3 (Summer/Autumn, 2001) pp. 208-216. 32. Sara Roy, Second Annual Holocaust Remembrance Lecture, Baylor University, 8 April 2002. 33. Joel Kovel, “On Left anti-Semitism and the Special Status of Israel,” Tikkun, 9 May 2003. 35. Tony Judt, “Israel: The Alternative,” The New York Review of Books, 23 October 2003. 36. Leon Wieseltier, “What is Not to be done: Israel, Palestine and the return of the binational fantasy,” New Republic, 27 October 2003. 37. Jonathan Calt Harris, “Palestine U, Connecticut USA,” www.Front PageMagazine.com, 8 March 2004. 38. Ruth R. Wisse, “Israel on Campus,” Wall Street Journal, 16 December 2002. 39. Alfred M. Lilienthal, “The Zionist Connection II: What Price Peace?” www.realnews247.com/alfred_lilienthal.htm. 40. For a more detailed description of the Fonagy case, see Manfred Gerstenfeld, “The Academic Boycott Against Israel,” Jewish Political Studies Review, Vol. 15, nos. 3 & 4, pp. 53-58. 41. For some aspects of this issue see: Arieh Stav, “Israeli Anti-Semitism” in Shlomo Sharan (ed.) Israel and the Post-Zionists: A Nation at Risk, (Brighton: Sussex Academic Press, Ariel Center for Policy Research, 2003), pp. 163-188. 42. Institute of the World Jewish Congress, “The Revival of the Arab Boycott – Round Two,” Policy Dispatch, No. 59. 43. Brendan Boyle, “Boycott Israel, says Jewish Minister,” Dawn International, 25 April 2002. 44. Robert Wistrich, “The Strange Case of Bruno Kreisky,” Encounter, May 1979. 45. www.deriyassin.org/gkaufman.html 16 April, 2002. 46. “Sanctions urged to rein in Israel,” Agence-France-Presse, 29 March 2004. 47. Uriel Heilman, “In rare Jewish appearance, George Soros says Jews and Israel cause anti-Semitism.” JTA, 9 November 2004. 49. Gordon W. Allport, The Nature of Prejudice (New York: Doubleday, 1958), p. 147. 50. Abigail Radoszkowicz, “An Ancient Evil Stirs,” The Jerusalem Post Magazine, 17 January 2003. 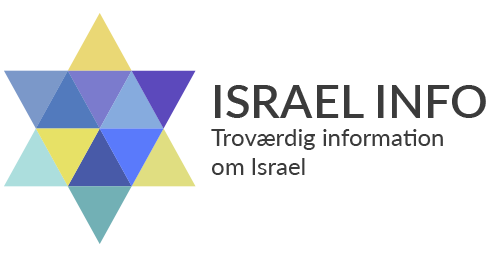 I en ny rapport om international anti-semitisme fra USA’s regering roses Danmark og den danske regering for effektivt at tage hånd om de tilfælde af anti-semitisme, der er forekommet. Fra januar til og med juni 2004 er der rapporteret om 5 tilfælde af anti-semitisk vandalisme, først og fremmest grafiti og et tilfælde af anti-semitisk mail – alt sammen kritiseret og undersøgt af regeringen. Indrapporterede tilfælde af anti-semitisme drejede sig yderligere om tyveri og racistiske internet-meddelelser. Minoritetsgrupper stod i høj grad bag anti-semitismen. Den danske regering undersøgte effektivt tilfældene. Lovgivningen i Danmark forbyder udtalelser, som truer, fornæmer eller nedgør personer alene på grund af deres religion eller etniske tilhørsforhold (dansk straffelov, § 266b). I november 2003 lancerede den danske regering en aktions-plan for at øge ligestilling og for at bekæmpe racisme. Der er afsat 2,5 millioner kroner til projektet. Bortset fra dette lyspunkt, fortæller US-rapporten om en verden, hvor anti-semitismen igen for alvor er på fremmarch – ikke mindst i Europa. Selve indbegrebet af antisemitisk propaganda. Et falsum, som i det 19. århundrede blev konstrueret af Czarens hemmelige politi for at retfærdiggøre de progromer mod de russiske jøder, som Czar Alexander III satte i værk. Skriftet “beviste”, at en jødisk sammensværgelse mod den kristne, civiliserede verden var i fuld gang, og falsumet hentede inspiration til sine påstande fra en fransk polemisk satire, som var sat i værk mod kejser Napoleon III. Protokollerne, der angiveligt var skrevet af Zions Vise – altså jødedommens åndelige ledere – “afslørede”, hvad jøderne var i gang med: At nedbryde kristendommen og civilisationen. At sætte kristne op imod kristne. At nedbryde al moral og myndighed og i øvrigt at skabe økonomisk og politisk sammenbrud. Zions Vises Protokoller opnåede enorm udbredelse efter Den Første Verdenskrig, blev oversat til et væld af sprog, og var stærkt medvirkende til den moderne europæiske antisemitisme, der især blev udbredt i Rusland, Frankrig, Tyskland, Østrig, Polen og Storbritannien. Fra alle seriøse blev Zions Vises Protokoller afvist som værende absurd løgn, og i dag cirkulerer de falske protokoller kun i nynazistiske kredse samt i de arabiske lande, hvor Zions Vises Protokoller år efter år – som i øvrigt tilfældet med Hitlers “Mein Kampf” sælges og læses i stort tal. Egyptisk TV har fornylig vist en trivialserie, bygget over Zions Vises Protokoller, ligesom protokollerne ofte benyttes i propagandaen i palæstinensisk TV og radio. The World Jewish Congress opened its three-day plenary assembly here Sunday to address issues of anti-Semitism, interfaith dialogue, and networking with Europe. The WJC, which has collected millions of dollars in Holocaust restitutions on behalf of victims, will choose its slate of officers Monday. The organization has been going through an extended power struggle which has pitted most of the WJC leadership against WJC Senior Vice President Isi Leibler, who first made allegations about mismanagement in the handling of certain organization funds last year. He has charged that the assembly will be used as a forum to oust him from the organization. The WJC is also expected to release extensive documents clarifying its position and past actions regarding the on-going controversy. The plenary session, held every four to six years, is the first such WJC convention to be held in Europe in decades. The organization hopes that it will provide an opportunity for strengthening ties between itself and European officials. To that end, Belgian Prime Minister Guy Verhofstadt and General Harald Kujat, chairman of the Military Committee of NATO, will be among the speakers. Roman Catholic Cardinal Jean-Marie Lustiger, a born Jew who converted to Catholicism and is the son of an Auschwitz victim, was to be a guest speaker at the opening dinner Sunday evening. In addition, Edgar M. Bronfman, president of the WJC, and other representatives are to meet with European Union officials, including European Commission President Jose Manuel Barroso, following the assembly. Some 500 delegates from 88 countries are planning to attend. At least one participant has already had to cancel, however. Riad Malki, the sole person coming from the Palestinian territories, was not able to receive Israeli government permission to leave on time. Malki, of the Panorama Center, received a travel permit Sunday morning after the flight he needed had already left. The snafu was due either to a mix-up on the part of the Paris NGO facilitating his visit or Israeli political motivations, according to Israel Council on Foreign Relations President David Kimche, who was to speak with Malki on the need for peace between Palestinians and Israelis. Al-Dura were both kids. One was an Israeli, the other a Palestinian. But the deaths of 13-year-old Mandell and 12-year-old Al-Dura in the first year of what’s been called the second Palestinian intifada have come to symbolize the distorted coverage of that conflict by the international media.